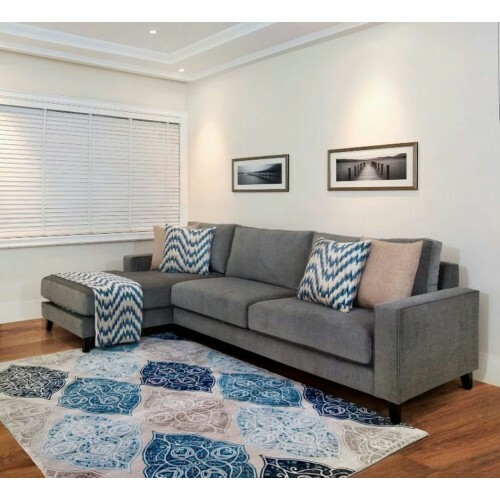 This calm look is inspired by the hill of Idanre, one of the most beautiful natural landscapes in Nigeria, predominantly grey and styled with various shades of blue. 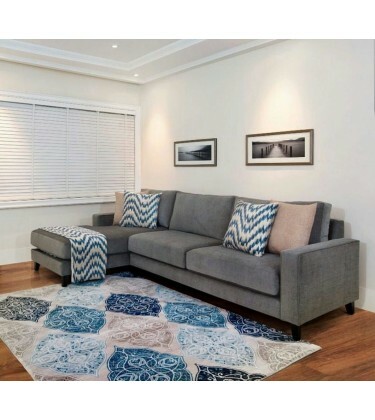 The large blue pillows, matching throws in abstract hill like pattern and rug adds loads of character to the nature inclined grey sofa, creating a bubbly and lively space within the comfort of your mini living room. 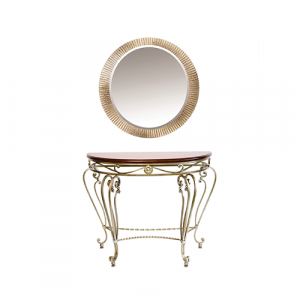 This beautiful gold-painted, wrought iron console table with detailed wooden top adds elegance and w.. 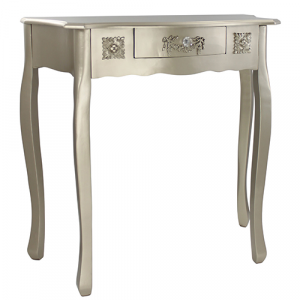 Champagne, wooden table with a single drawer and embossed scrolls has crystal cut han..